Activist Spotlight: Jill Johnson with the Newport Beach Chapter! 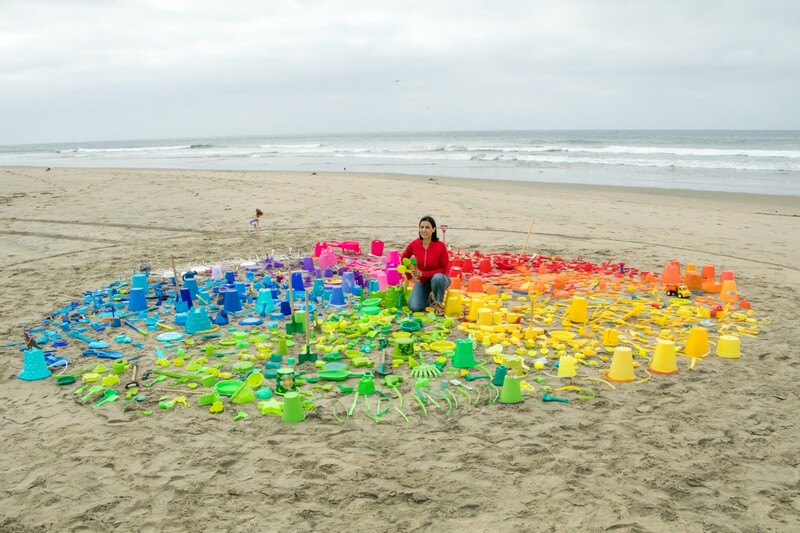 Jill Johnson has been working to raise awareness about plastic left on the beach from toys. 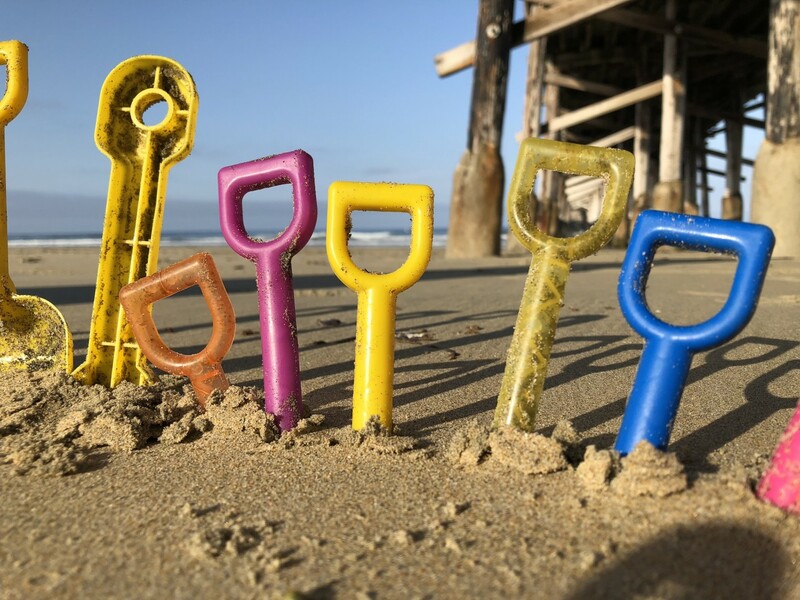 Though they look harmless, plastic toys left behind on the beach are another source of plastic pollution and if they get out into the ocean, break into those colorful pieces of microplastic that birds and fish are especially attracted to. Her photos have helped spark more awareness about plastic on the beach and has inspired all of us to keep an eye out for plastic toys left behind. As a family we have spent countless hours on the beach in Newport - digging in the sand, splashing in the waves, collecting shells, playing tug of war with sea weed, participating in the Newport Beach Junior Lifeguard program, eating ice cream, making friends, taking pictures and surfing. Our children have grown up on this beach and learned many life lessons here. When family and friends come to visit we proudly take them to the beach and share this sacred place with them. My sister-in-law decided to give our oldest son a Surfrider membership for Christmas five years ago. It was the gift of that membership that sparked my interest in the Surfrider Foundation and encouraged me to change my thinking about the ocean and the coastline that surrounds it. Recently I became an accidental environmentalist on my early morning beach walks. 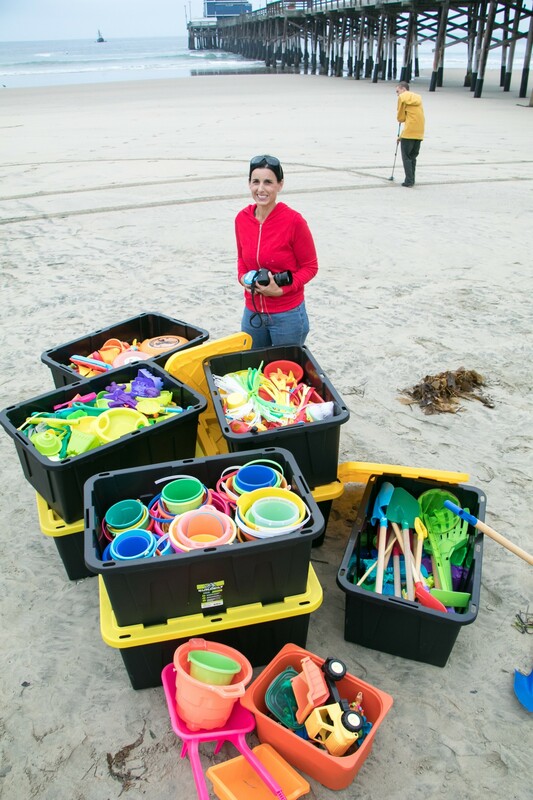 During the summer of 2018, walking three mornings per week, I collected well over 1000 discarded plastic beach toys. I started photographing my plastic toy finds and posting them on Instagram (@jillsjohnson). As the collection grew, it became evident that we have a real problem with toys being left behind. I have seen people pick up plastic water bottles, bags and straws, but walk over discarded toys. There seems to be a lack of awareness that these discarded toys are plastic litter just like the rest of the beach trash. This observation led me to gather my colorful summer haul and take it to the beach to display what I had found. I called the LA Times to see if they might be interested in coming down to cover the story and shed some light on this issue. To my surprise they agreed, and on September 12th they ran a story in both the local paper and the LA Times. Riding on the momentum of the LA Times article, I contacted our local city council representative to see if we could come up with some simple solutions before the crowds arrive next summer. To my surprise (again) she said she would love to meet with me. 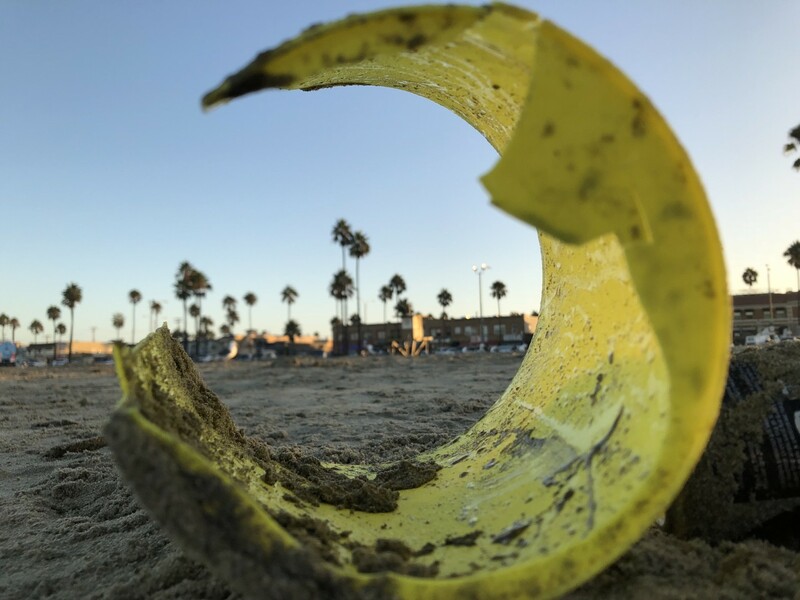 Our meeting is on the calendar and now awareness is growing about how plastic beach toys accumulate on the beach each summer as the number of beachgoers increases. The truth is those discarded plastic beach toys do the same harm to the ocean and sea life as other single-use plastics. Our family participates in the Surfrider monthly beach clean ups with the Newport Beach Chapter. It is a wonderful feeling to see the community get together early on a Saturday and help keep our beaches clean. It is an opportunity for education and human connection. What I enjoy the most is seeing the young children there eager to help and be a part of the solution. Surfrider is a group of solution seekers and a wonderful resource in our community. I am grateful for their work. They inspire and motivate me. For example, I attended the Bigger than Plastic talk during the US Open, hosted by Surfrider. A member of the panel encouraged us to call our representatives and share our concerns. He made it sound less scary than I had always imagined, so I did it! It is as simple as this Dr. Seuss quote: “Unless some one like you cares a whole awful lot, nothing is going to get better, it’s not.” I care. I think overall we have a lot of people who care an awful lot, but more of us need to take action. Don’t ask children what they want to be when they grow up. Instead ask them what problem do they want to solve. We will find ourselves with army of solution seekers, wouldn’t that be awesome!!! !